Name Variation Johann Joachim Schuette was also known as John. Johann Joachim Schuette married Elizabeth Wilhelms. Johann Joachim Schuette was born on 7 December 1818 at Germany. He died on 9 October 1886 at Sauk, Wisconsin, at age 67. Married Name Her married name was Schuette. Name Variation Elizabeth Wilhelms was also known as Dorothea Elisabeth. Elizabeth Wilhelms married Johann Joachim Schuette. Elizabeth Wilhelms was born on 30 May 1825 at Germany. She died on 19 September 1898 at Sauk, Wisconsin, at age 73. Married Name Her married name was Roediger. Elva Marcellete Schuette married Christian H. Roediger. Elva Marcellete Schuette was born on 13 March 1895 at Sauk, Wisconsin, also reported as Mar 1894. She was the daughter of Fred William Schuette and Anna Maria Sophia Huebing. Elva Marcellete Schuette died on 14 May 1955 at Sauk, Wisconsin, at age 60. Elva Marcellete Schuette graduated in 1913 at Reedsburg High School, Reedsburg, Sauk, Wisconsin. Name Variation Carl Reinhold Herman Mittlesteadt was also known as Reinhold. Name Variation Carl Reinhold Herman Mittlesteadt was also known as Rheinhold C.
Name Variation Carl Reinhold Herman Mittlesteadt was also known as Rheinholdt. Name Variation Carl Reinhold Herman Mittlesteadt was also known as Mittelsteadt. Carl Reinhold Herman Mittlesteadt was born on 22 November 1894 at Winfield, Sauk, Wisconsin. He was the son of Marie Mittlesteadt. Carl Reinhold Herman Mittlesteadt married Frona P. Schuette, daughter of Jurgen Heinrich Wilhelm Schuette and Dorothea Mueller, circa 1920. Carl Reinhold Herman Mittlesteadt died on 22 October 1962 at Sauk, Wisconsin, at age 67. [S244] U.S. Federal Census 1910 U.S. Federal Census, by Ancestry.com, Year: 1910; Census Place: La Valle, Sauk, Wisconsin; Roll: T624_1736; Page: 10A; Enumeration District: 0120; Image: 1029; FHL Number: 1375749. [S243] U.S. Federal Census 1920 U.S. Federal Census, by Ancestry.com, Year: 1920; Census Place: La Valle, Sauk, Wisconsin; Roll: T625_2015; Page: 8A; Enumeration District: 169; Image: 208. [S250] U.S. Federal Census 1930 U.S. Federal Census, by Ancestry.com, Year: 1930; Census Place: La Valle, Sauk, Wisconsin; Roll: 2609; Page: 2B; Image: 208.0; Family History Library Film: 2342343. Married Name Her married name was Fiske. Maude Lorraine Shields married Peter Matthew Solchenberger, son of Peter Solchenberger and Florence Malvina Engwall. Maude Lorraine Shields was born on 18 March 1925 at Wisconsin. She died on 26 October 1997 at Juneau, Wisconsin, at age 72. Donna Jean Solchenberger was born on 27 February 1953. She was the daughter of Peter Matthew Solchenberger and Maude Lorraine Shields. Donna Jean Solchenberger died on 1 September 2005 at age 52 Donna Jean Solchenberger, 52 of Belvidere, Ill., died Thursday, Sept. 1, 2005, in her sister's home following a courageous battle with cancer. She was born on February 27, 1953, in Dodgeville, the daughter of Peter Matthew and Maude Lorraine (nee Shields) Solchenberger. Donna was employed as a CNC Machinist for Warner Electric for 15 years and then by Nissan Forklift Div. of Marengo, Ill. for 12 years, retiring in November 2003. Donna was a strong individual and a hard worker with a good sense of humor. She successfully raised her daughter alone, which included active participation as a Brownie Leader and Senior Scout Leader. The many things she enjoyed were singing, boating, fishing and animals. She was a Green Bay Packer fan. She received solitude while mowing the grass and talking to God. She is survived by her daughter, Dean Jean Solchenberger and granddaughter, Presley Jean Solchenberger, both of Loves Park, Ill; five sisters, Judith Ann (James) Hughart of Caledonia, Janice Marie (Ken) Anderson of Belvidere, Ill., Linda Lou (Charles) Morrow of Poplar Grove, Diane Kay (Duane) Johns of Mauston and Dawn Marie (Larry) Fiske of Mauston; five brothers, Ervin Arthur Solchenberger of Tomah, Larry LeRoy (Donna) Solchenberger of Belvidere, Ill., James Peter (Melissa) Solchenberger of Clinton, Dennis Duane (Bonnie) Solchenberger of Brodhead and Raymond (Linda) Fiske, Jr. of Caledonia; step-father, Raymond Fiske, Sr. of New Lisbon; significant other, David Osborne of Belvidere, Ill; nieces, nephews along with other relatives and friends. She was preceded in death by her parents and brother, Ralph Lee Solchenberger. Funeral services were conducted Tuesday, Sept. 6, 2005, at 2 p.m. in the Thompson Funeral Home in Wonewoc. Visitation was from 1 to 2 p.m. at the funeral home. Burial followed in Pine Eden Cemetery, Wonewoc. The Thompson Funeral Home in Wonewoc is assisting the family with the arrangements. Ralph Lee Solchenberger was the son of Peter Matthew Solchenberger and Maude Lorraine Shields. Ralph Lee Solchenberger died before September 2005. Evan Thomas Stover married Angie Louise Garland. Evan Thomas Stover died before March 1977. Angie Louise Garland married Evan Thomas Stover. 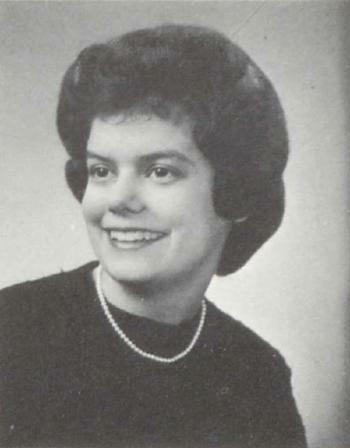 Angie Louise Garland died before March 1977. Roy T. Stover was the son of Evan Thomas Stover and Angie Louise Garland. Roy T. Stover died after March 1977. Harold Strutz was born on 15 December 1907 at Sauk, Wisconsin. He married Evelyn Frieda Ziech, daughter of Johann Karl Herman Ziech and Minnie M. Gates, in 1938. Harold Strutz died on 4 June 1967 at Wisconsin at age 59. Myrna J. Strutz was born on 8 January 1945. She was the daughter of Harold Strutz and Evelyn Frieda Ziech. Myrna J. Strutz died on 7 February 2004 at age 59 Myrna J. Strutz, 59, Reedsburg, died on Saturday, Feb. 7, 2004, at her home. She was born on Jan. 8, 1945, in Reedsburg the daughter of Harold and Evelyn (nee Ziech) Strutz. Myrna was employed with Gerber Baby Products in Reedsburg for over 40 years. She was a member of St. Peter's Lutheran Church in Reedsburg. She found great pleasure in watching her nieces and nephews grow up and attended all their activities. Myrna was an avid fan of Reedsburg Beaver sports, Wisconsin Badger's and the Green Bay Packers. He mother, a brother, Richard and a sister, Delores Holmes, preceded her in death. She is survived by her brothers, Gerald "Jerry" Strutz, LaValle, Garland (Sandra) Strutz, Reedsburg, Bernard (Polly) Strutz, Reedsburg, James Strutz, Reedsburg, and Fred (Rita) Strutz, LaValle; sister, Carolyn Strutz, Sun Prairie; sister-in-law, Audrey Strutz, Reedsburg; brother-in-law, Melvin Holmes, Hancock; many nieces, nephews, along with other relatives and friends. Funeral services for Myrna Strutz were conducted at 11 a.m. on Tuesday, Feb. 10 in St. Peter's Lutheran Church in Reedsburg with Rev. Paul Crolius officiating. Burial followed in St. Peter's Cemetery. Friends called on Monday from 4 to 8 p.m. at the Farber Funeral Home and again on Tuesday, from 10 a.m. until the time of service at the church. Luncheon will follow at St. Peter's Lutheran Church. The family requests memorials of remembrance be made to the Reedsburg Athletic Club in lieu of flowers. The Farber Funeral Home is assisting the family with the arrangements. Myrna J. Strutz graduated in 1963 at Webb High School, Reedsburg, Sauk, Wisconsin. Richard Strutz was born on 24 January 1939 at Reedsburg, Sauk, Wisconsin. He was the son of Harold Strutz and Evelyn Frieda Ziech. Richard Strutz died on 15 December 1990 at Reedsburg, Sauk, Wisconsin, at age 51. Married Name 23 June 1973 As of 23 June 1973,her married name was Holmes. Delores Strutz was born on 11 August 1941 at Reedsburg, Sauk, Wisconsin. Delores Strutz married Melvin Holmes on 23 June 1973. Delores Strutz died on 25 July 1990 at Wisconsin at age 48. 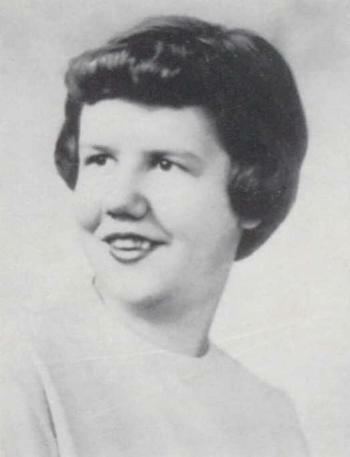 Delores Strutz graduated in 1959 at Webb High School, Reedsburg, Sauk, Wisconsin. Melvin Holmes was born on 3 March 1931 at Wisconsin. He married Delores Strutz, daughter of Harold Strutz and Evelyn Frieda Ziech, on 23 June 1973. Melvin Holmes died on 18 September 2004 at Wisconsin at age 73. Name Variation Gerald Strutz was also known as Jerry. Gerald Strutz was born on 16 August 1947. Gerald Strutz died on 25 April 2013 at age 65 Jerry A. Strutz, age 65, of Reedsburg, passed away on Thursday, April 25, 2013, at UW Hospital in Madison. He was born on August 16, 1947, in Reedsburg, Wisconsin, the son of Harold and Evelyn (Ziech) Strutz. Jerry farmed in Winfield Township, Sauk County, most of his life until 1999. Jerry then worked at Land’s End until this past January. He was a member of St. Peter’s Ev. Lutheran Church, Reedsburg. He was an avid golfer and enjoyed watching the Badgers, Packers and the horse races. He looked forward to frequently having breakfast with his buds. He will be remembered by his family as being a fun- loving person who would help family and friends any time he had the chance. He was preceded in death by his parents; sisters, Myrna Strutz and Delores Holmes; and brother, Richard. 21 nieces and nephews, along with several great nieces and nephews and other relatives and friends. We celebrate Jerry‘s life with a service at 11:00 AM on Tuesday, April 30, 2013, at St. Peter’s Ev. Lutheran Church, Reedsburg. Burial will follow in St. Peter’s Cemetery. Visitation will be held on Monday from 5:00 until 8:00 PM at the Farber Funeral Home, Reedsburg, and again on Tuesday morning from 10:00 until the time of the service at the church. Gerald Strutz graduated in 1965 at Webb High School, Reedsburg, Sauk, Wisconsin. Name Variation James A. Strutz was also known as Papa Jim. Name Variation James A. Strutz was also known as Jim A.
James A. Strutz was born on 29 August 1954 at Reedsburg, Sauk, Wisconsin. James A. Strutz died on 5 September 2014 at age 60 Jim A. Strutz, “Papa Jim”, age 60, of Reedsburg, passed away on Friday, September 5, 2014, unexpectedly at his home. He was born on August 29, 1954, in Reedsburg, the son of Harold and Evelyn (Ziech) Strutz. Jim recently retired from Grede Foundries where he worked for 42 years. He was a member of St. Peter’s Ev. Lutheran Church, Reedsburg. During his earlier years, Jim spent many summers organizing and coaching Reedsburg Little League. He spent much of his time on the golf course, cheering on any Wisconsin sports team, and bowling. When he wasn’t doing any of that he was following his grandchildren around to any of their activities. He made his family priority and his children will cherish the memories they made at their “adult” dinners every year and on their vacations. He will be remembered as being spontaneous in his behavior such as busting out in the Hee-Haw tune, or participating in the ice bucket challenge. He was preceded in death by his parents; sisters, Myrna Strutz and Delores Holmes; brothers, Richard and Jerry Strutz; and niece, Lisa Holmes. Many nieces, nephews along with other relatives and friends. Though his life on Earth was short, he shared many memories with all of his family and friends that we will hold close to our heart. He was a great man who gave all he could, when he could. His grandchildren were the light of his eye and he left this Earth with every one of them knowing he loved and cared for them. His children are who they are because of his strength and resilience that he demonstrated upon them. Since we have heard you sing which lead to laughter, Dad,that is a memory we will cherish forever as you were STRONG. We celebrate Jim’s life with a service at 11:00 AM on Friday, September 12, 2014, at St. Peter’s Ev. Lutheran Church, Reedsburg, with Pastor Paul Crolius officiating. Burial will follow in St. Peter’s Cemetery. Visitation will be held on Thursday from 4:00 to 8:00 PM at the Farber Funeral Home, Reedsburg, and on Friday from 10:00 AM until the time of the service at the church. Married Name 16 November 1941 As of 16 November 1941,her married name was Thies. Edna Emma Martha Lutterman was born on 25 February 1917. She was the daughter of Henry William Lutterman and Emma Voss. Edna Emma Martha Lutterman married Carl Martin Thies, son of Henry F. Thies Sr. and Bertha E. Ritzer, on 16 November 1941. Edna Emma Martha Lutterman died on 5 February 2001 at age 83 Edna Emma Martha Thies, age 83, of Reedsburg, died on Monday, February 5, 2001 at the Edward Snyder Nursing Home in Reedsburg. She was born on February 25, 1917 in Westfield Township, Sauk County, the daughter of Henry William and Emma (Voss) Lutterman. She was married to Carl Martin Thies on November 16, 1941 at St. John Lutheran Church in Loganville. This marriage was blessed with four children. Her husband Carl preceded her in death on July 20, 1994. Edna was a long time member of St. Peter's Ev. Lutheran Church in Reedsburg, where she served as a member of the Ladies Aid for over 40 years. She was preceded in death by her parents. She is survived by her children: Carl (Cynthia) Thies of Fort Wayne, Indiana, Lowell Thies of Elkhorn, Edith (James) Barnhart of Marshall and James (Judy) Thies of Baraboo; four grandchildren; Lance (Anne) Thies, Adam Thies, Darcy Barnhart and Alicia Barnhart; sisters; Esther Fuller of Madison, Lydia Pickar of Reedsburg, Evelyn Froehlich of Reedsburg; nieces, nephews along with other relatives and friends. Funeral services for Edna Emma Martha Thies will be conducted at 11:00 a.m. on Thursday, February 8, 2001 at St. Peter's Ev. Lutheran Church, Reedsburg with Rev. Kevin J. Kohnke officiating. Burial will follow in St. Peter's Cemetery. Friends may call on Wednesday from 4-8 p.m. at the Farber Funeral Home and on Thursday from 10:00 a.m. until the time of the service at the church. Memorials may be made to St. Peter's Radio Fund in lieu of flowers. The Farber Funeral Home is assisting the family with the arrangements. Taken from the Reedsburg Independent. Henry William Lutterman married Emma Voss. Henry William Lutterman died before February 2001. Married Name Her married name was Lutterman. Emma Voss married Henry William Lutterman. Emma Voss died before February 2001. Lowell Thies was born on 25 December 1945 at Reedsburg, Sauk, Wisconsin. He was the son of Carl Martin Thies and Edna Emma Martha Lutterman. Lowell Thies died on 22 February 2017 at age 71 Lowell William Thies, 71, of Elkhorn, passed away Wednesday, February 22, 2017. Lowell was born December 25, 1945 in Reedsburg, to the late Carl Martin and Edna (Lutterman) Thies. 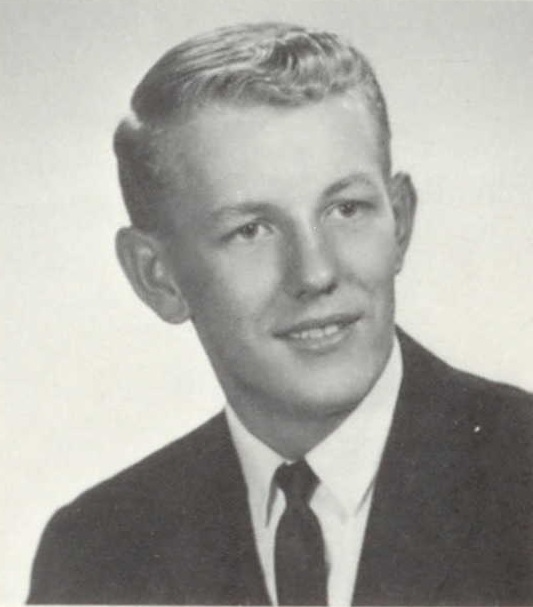 He attended St. Peter’s Lutheran School and graduated from Webb High School in 1965. Lowell was a member of Our Redeemer Lutheran Church in Delavan, where he was always willing to lend a helping hand. He was employed by Vocational Industries in Elkhorn for over 30 years. Nieces; Darcy (Adam) Paape of Grafton and Alicia Barnhart and fiancé Jason Pamplona of Madison. Nephews; Lance (Anne) Thies of Rockport, IL and Adam (Anne) Thies of Bloomington, IN. Funeral Services for Lowell will be held Saturday, March 4, 2017, at 12:00 NOON, at St Peter’s Lutheran Church in Reedsburg. The Reverend Paul Crolius, Pastor, will officiate. Visitation will also be on Saturday at the church from 10:00 am until the time of service. Burial will follow services at St. Peter Cemetery. Married Name Her married name was Fuller. Esther Louise Lutterman married Clarence W. Fuller. Esther Louise Lutterman was born on 2 April 1907 at Sauk, Wisconsin. Esther Louise Lutterman died on 6 April 2001 at age 94. Clarence W. Fuller married Esther Louise Lutterman, daughter of Henry William Lutterman and Emma Voss. Clarence W. Fuller was born on 19 May 1899. He died on 26 March 1970 at age 70. Married Name 15 September 1935 As of 15 September 1935,her married name was Pickar. Lydia Lutterman was born on 22 May 1914 at Loganville, Sauk, Wisconsin. Lydia Lutterman married Edmund Pickar on 15 September 1935. Lydia Lutterman died on 2 December 2002 at age 88 Lydia E. Pickar, age 88, of Loganville, died on Monday, Dec. 2, 2002, at the Premier Rehabilitation Center, Beloit. She was born on May 22, 1914, in Loganville, the daughter of William and Emma (Voss) Lutterman. On Sept. 15, 1935, Lydia was united in marriage to Edmund "Butch" Pickar at St. John Evangelical Lutheran Church, Loganville. He preceded her in death on Aug. 3, 1996. Lydia was a member of St. John Lutheran Church, Loganville, where she was active in the Ladies Aid. She was also a member of the Loganville Homemakers. She was also preceded in death by her parents; and sisters, Esther Fuller and Edna Thies. She is survived by her sister, Evelyn Froehlich of Reedsburg; several nieces, nephews, great-nieces, great-nephews, many godchildren, other relatives and friends. Funeral services for Lydia E. Pickar will be conducted at 1 p.m. on Saturday, Dec. 7, 2002, at ST. JOHN EVANGELICAL LUTHERAN CHURCH, Loganville, with Pastor Duane Daeke officiating. Burial will follow in St. John Cemetery, Westfield township. Friends may call from 4 p.m. to 8 p.m. on Friday, Dec. 6, 2002, at FARBER FUNERAL HOME, Reedsburg, and from noon until the time of the service on Saturday at the church. Memorials of remembrance may be made to St. John Church, Loganville. Farber Funeral Home is assisting the family with the arrangements. Nickname Edmund Pickar also went by the name of Butch. Edmund Pickar married Lydia Lutterman, daughter of Henry William Lutterman and Emma Voss, on 15 September 1935. Edmund Pickar died on 3 August 1996. Evelyn Lutterman was the daughter of Henry William Lutterman and Emma Voss. Evelyn Lutterman married (?) Froehlich. (?) Froehlich married Evelyn Lutterman, daughter of Henry William Lutterman and Emma Voss. Married Name 15 April 1939 As of 15 April 1939,her married name was Traxler. Josephine M. Lindsay was born on 31 May 1921. She was the daughter of Joseph Lindsay and Jenette Smith. Josephine M. Lindsay married Eugene E. Traxler, son of Perry John Traxler and Lena M. Carpenter, on 15 April 1939. Josephine M. Lindsay died on 17 June 2002 at age 81 Josephine M. Traxler, age 81 of Baraboo, passed away peacefully on Monday, June 17, 2002 at St. Clare Meadows Care Center in Baraboo, in the company of her family. Josie, the daughter of Joseph and Jenette (Smith) Lindsay, was born on May 31, 1921 in Baraboo and had been a resident all her life. She was married to Eugene E. Traxler on April 15, 1939 at St. Joseph's Catholic Church in Baraboo. Eugene and Josie founded the Baraboo Asphalt Company in 1947, and incorporated in 1969, keeping it a family-owned business. She retired in 1986. Mrs. Traxler was a life-long member of St. Joseph's Catholic Church in Baraboo. She is survived by 2 sons, Phillip (Paula) Traxler of Baraboo, Gerald (Barb) Traxler of Baraboo; 1 daughter, Jolene (Bill) Crowley of Baraboo; 5 grandsons, Mike Knoop and friend, Lisa, John (Heidi) Traxler; Thomas (Liz) Knoop, Joseph (Libby) Knoop, Rob (Kara) Traxler; 3 granddaughters, Teri (Keith) Kimball, Laura (Brad) Lois, Sandie (Steve) Rohrer; 12 great-grandchildren; many other relatives and friends. She was preceded in death by her husband in 1993; her parents; two sisters; three brothers; and a grandson, James Knoop. A Mass of Christian Burial will be held at 11:00 A.M. on Saturday, June 22, 2002 at St. Joseph's Catholic Church in Baraboo with Father Gerald Vosen officiating. Interment will take place in the Walnut Hill Cemetery. Friends may call on Friday, June 21, from 5:00 until 8:00 P.M. at the Redlin Funeral Home in Baraboo; and from 10:00 A.M. until the time of Mass at the church. Joseph Lindsay married Jenette Smith. Joseph Lindsay died before June 2002. Married Name Her married name was Lindsay. Jenette Smith married Joseph Lindsay. Jenette Smith died before June 2002.